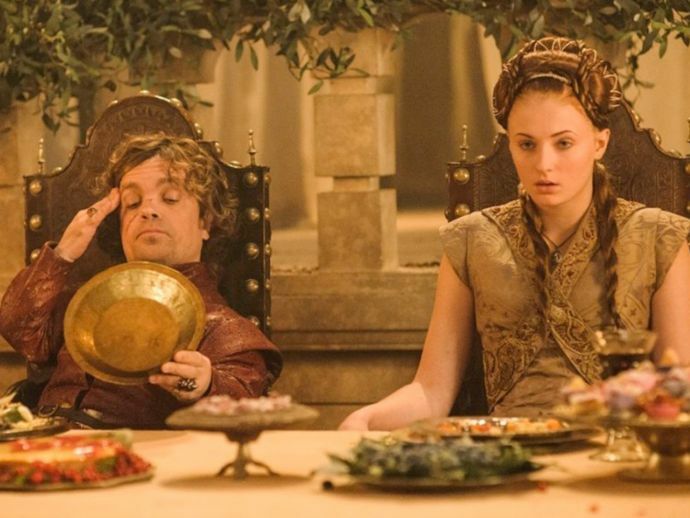 Wine And Lemoncakes: Here's What All The Food And Drinks On 'Game Of Thrones' Represent! Quora user Kelsey L. Hayes spells it out for us. Whether you have internalised George R. R. Martin’s A Song of Ice and Fire, or followed the HBO series, or even just attempted to read that megalith of a book series, you are aware that GRRM pays an incredible amount of attention to detail. His writing invokes the senses, and his descriptions of people, places, animals, (corpses, wounds, explosions- I could go on with this) are full of rich imagery. The same goes for his descriptions of food, which are not just insanely elaborate and quaint, but also carry a lot of significance. It is not just coincidental that Sansa Stark’s love for lemoncakes, or King Robert’s association with boars, or the Westerosi elite’s fixation with Arbor Gold wine, are reiterated so often. Quora user Kelsey L. Hayes spotted a food-related motif in ASOIAF which could be missed in a casual reading, right from A Game Of Thrones to A Dance With Dragons- the latest book. It doesn’t take a genius to figure out that Sansa’s preference for sweet, dainty lemoncakes is her link to a more sheltered, pampered world. It is also mentioned that Arya loves lemoncakes as much as her sister. Daenerys too, is haunted by memories of a lemon tree at the house in Braavos where she was hidden until the age of five. Hizdahr zo Loraq drinks Arbor gold wine after marrying Daenerys- a wedding that is merely a political alliance. Ditto with the Arbor gold Tyrion drinks after his wedding to Sansa. You’ve seen this in the show as well. Daenerys’ assassin tries to poison her with red wine from the Arbor, as does Maester Cressen to Melisandre and Lady Olenna (successfully) to Joffrey. Viewers of Game of Thrones are aware of the manner of King Robert Baratheon’s death. He also expresses the desire for the boar that killed him to be served at his funeral feast. Boar is also served at the Purple Wedding, but not at the Red Wedding, signifying that the Starks may regain their power after all. This answer lists out all the food and drink symbolism in the books in extensive detail. You just got another reason for reading the books!